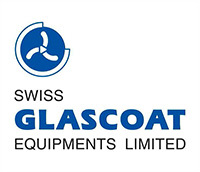 Swiss Glascoat Equipments Ltd. (SGEL) (India) is a producer of process equipment for chemical and pharmaceutical industries and, in particular, of glass lined equipment resistant to aggressive chemical acid media, corrosion and mechanical impact. The scope of supply includes agitated reactors, tanks, heat exchangers, dryers, pipes and fittings etc. The equipment is built in accordance with the European directive PED 2014/68, with glass lining as per DIN EN ISO 28721-1 which is an acknowledged sign of high quality. HLE Engineers PVT.Ltd. (India ) are manufactures of process equipment (agitated filters and agitated filter dryers, rotary vacuum paddle dryers, rapid disc dryer-coolers, gas induction type reactors (hydrogenators), fermentation equipment, reboilers, standard reactors, autoclaves, heat exchangers, columns, tanks and vessels, customized equipment) and provide engineering design services and comprehensive solutions and equipments in chemical manufacturing applications. HLE Engineers Ltd. are market leaders in filtration and drying equipment for established pharma and special chemistry majors and in exotic metal fabrication (AISI 304/L, AISI 316/L, Hastelloy C-22 (DIN 2.4602), Hastelloy C-276 (DIN 2.4819), Inconel 625TM (DIN 2.4856), Monel TM (DIN 2.4360), titanium and cladded composite materials). HLE Engineers Pvt. Ltd. made equipment is CE-marked CE which is an acknowledged sign of high European quality. Swiss Glascoat Equipments Ltd. (SGEL) and HLE Engineers PVT.Ltd. are part of a holding which makes it possible to provide comprehensive solutions for both glass lined equipment and stainless steel products supplies. See Technical Information for presentations of the two companies.